Yes. Brunch will hold you until happy hour. The waffle was gut-busting. The charcuterie plate was outstanding especially the rillettes. We had a great dinner on a Saturday evening. Food is well executed, though nothing terribly creative. The charcuterie plate was a surprise highlight. The duck a l’orange was our favorite entree. Service is solid, and the atmosphere is a lively bistro. Certainly a solid dining option. The food was very good. In addition, the service was great. The assistant manager Raymond C. is one of the best restaurant manager we've every encountered. He made our meal the best of Vegas and maybe one of the best of our lives. The food is amazing, so is the ambience. 6 stars if we could! Went solo. Was gonna sit a table but liked the vibe of the bar so that there instead. Fantastic cocktail (midnight in Paris) followed by the octopus (must try...so good) and the duck a l’orange. Finished off with the creme brûlée with beignets. Struck up a great conversation with a fellow solo diner at the bar. Fabulous meal. Can’t recommend enough! This place is awesome. A great experience from decor to service to food. They really go above and beyond on the quality, presentation, and service. We tried items across all areas of the menu and were impressed by every one. I can't imagine making a poor ordering choice here. We will definitely be back! Oscar our server was top, the food was excellent and the ambiance was great. Can’t wait to return. Great, fun place— my steak was really unappealing and over cooked but the mac and cheese is great. The desserts leave something to be desired but ultimately we had a great time even though the prices are pretty nuts. French onion soup with truffles is the stuff of legend. We ordered one steak, and added a half lobster, and they were great. Chocolate Macaroon dessert is amazing and can feed four. Not an inexpensive dinner, but excellent for a nice night out in the Strip. 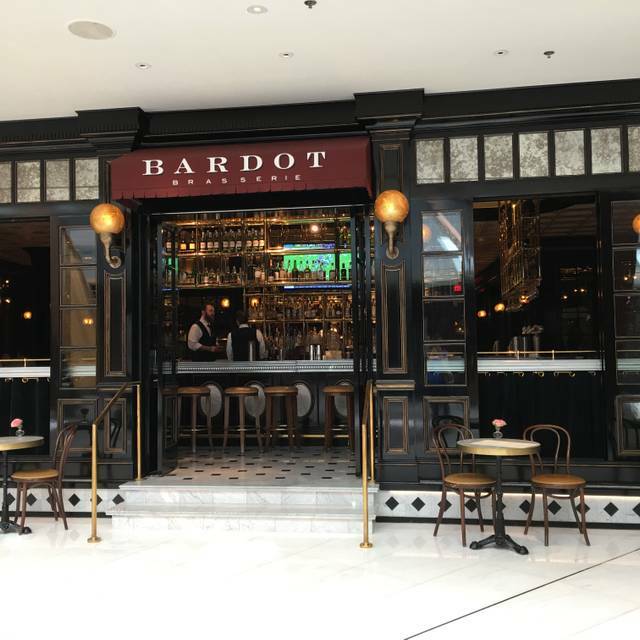 This restaurant is a "Must Do" in Vegas. I can't recommend highly enough the Chef's selection menu. At $95/person it let us try ALL the restaurant signatures dishes and STUFFED us. It was an amazing culinary experience - loved every bite! Om vacation in Vegas. Dinner with my husband. Delicious food. Excellent attentive service. Would come back even with some many great choices in Vegas. Pricey but worth it. Service was fantastic from the moment we sat down. Our waiter helped us decide with his recommendations and he was spot on. The food did not dissapoint at all, We enjoyed everything. We will be going back, and with such a great price point we will treat our kids next time! 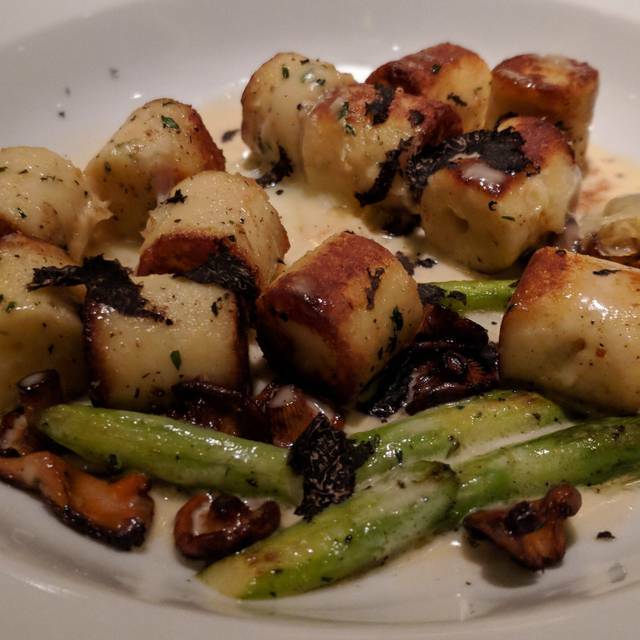 The food was amazing, the value was excellent and the service outstanding! One of our favorite places in Vegas. 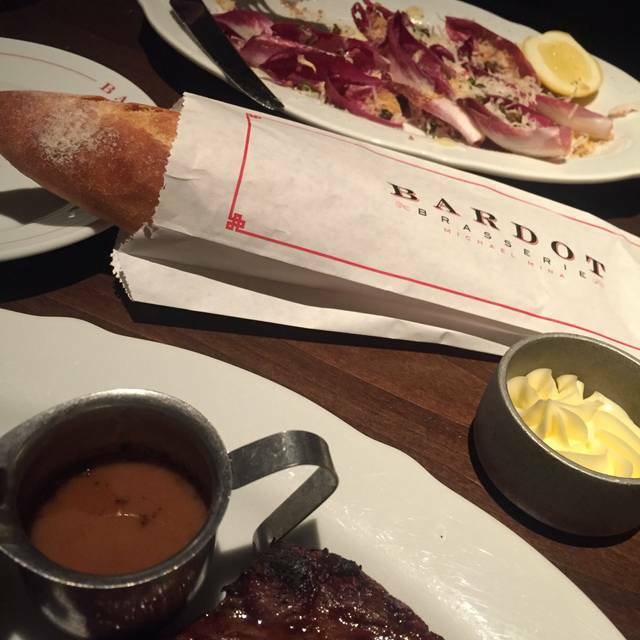 One of our best dining experiences EVER in Vegas. We ordered the Chef’s tasting menu, which I highly recommend. Every single thing was absolutely amazing. The entrees were full size, more than enough to share. It was an amazing experience and a great way to try several different and exciting dishes. The desserts were to die for with the Baked Alaska being my favorite. 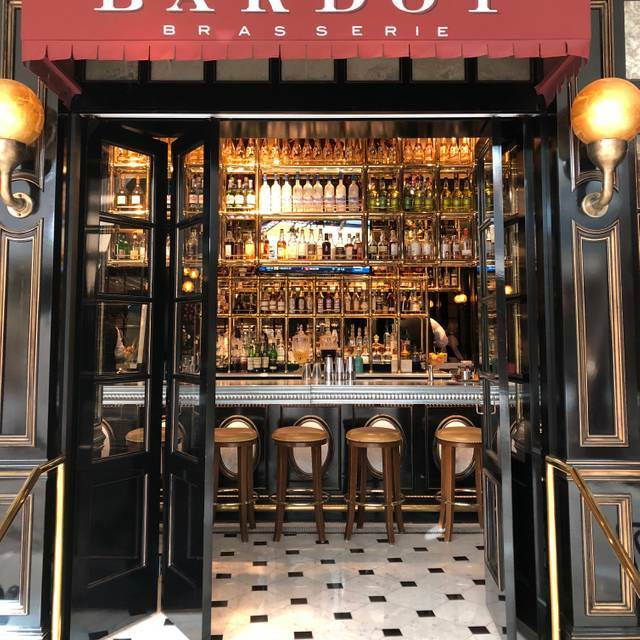 We will definitely be returning to Bardot and recommending to friends! Amazing service, memorable food, all in all great experience! Second time here and it was disappointing today. After being seated, no one discussed our table for at least 15 minutes -- no menu, no water, no contact from any server. After our waiter finally came over, there was no apology for the delay, which honestly would've gone a long way to making us feel welcomed. The rest of the meal was ok, however, it also took a very long time for our basic drip coffee to come out. It barely arrived before or food. We returned here because our first trip was so great, but next time we'll check out someplace else. This was one of the best dinners we’ve had in awhile. 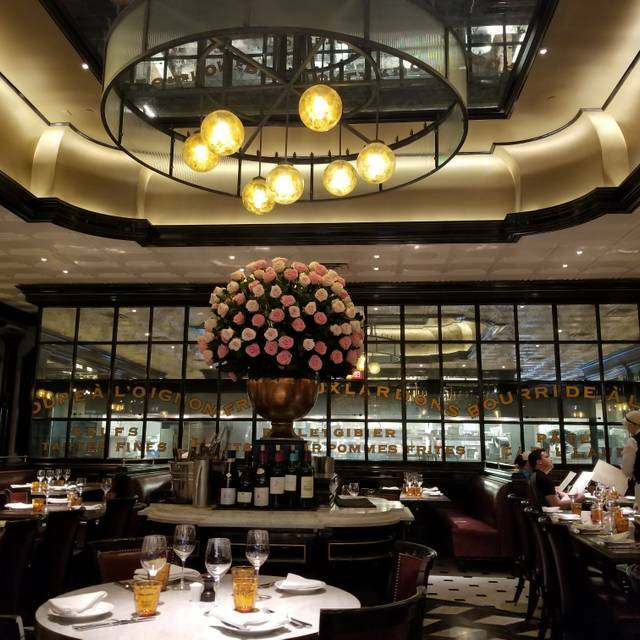 We have been in search of another place that would evoke the same gastronomic, emotional, and memorable experience as Eleven Madison Park in NYC and the missed Citronelle in Georgetown Washington DC. Extremely rare. 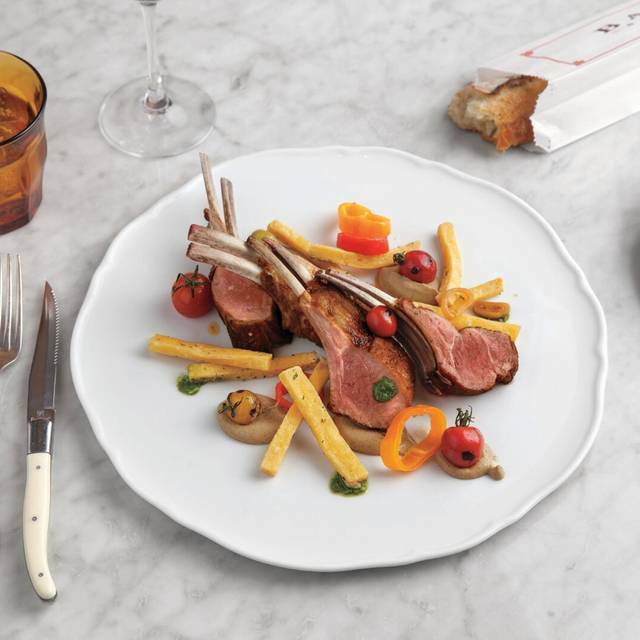 We love food, and unfortunately there are few adjectives to describe that further. We enjoy a sophisticated yet comfortable and lively ambience. 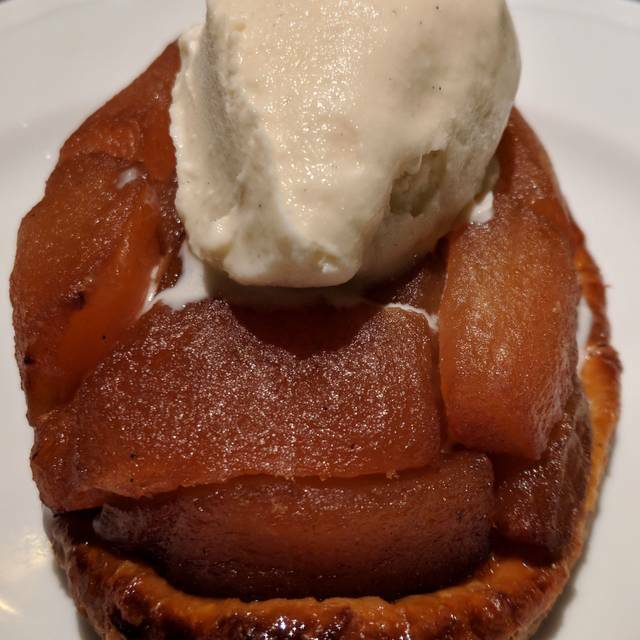 And to say this last part is a major part of any dining experience would be a gross understatement: we appreciate exceptional service by restaurant family (not just “staff”) who are genuine, knowledgeable, comfortable, confident, and unpretentious. 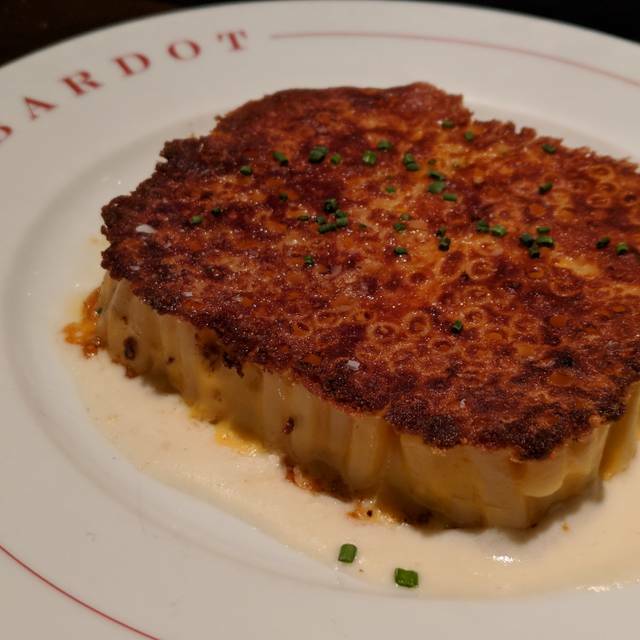 We cannot return to Bardot Brasserie soon enough. Thank you, and a thank you especially to Matthew, who took great care of us. Anniversary trip. Really enjoy weekend brunch here. Service was non-existent. Had to go get manager for menus and a server to start. After that, everything was perfect. I’m sure it was a minor oversight on service. I recommend weekend brunch! I was told my entree choice could be modified but they ended up giving me just a piece of fish on the plate with literally nothing else - no sauce, no nothing! Just this whole fish which looked like it was freshly caught and put on the plate. I only asked they delete fennel but they deleted absolutely everything! The friend I was with had the same dish and she got all the accompaniments such as some potatoes and sauce. I wouldn't have minded a bit if they said they couldn't modify the dish, because there were several entrees that interested me and I would have ordered something else. That said, I will say the fish did taste good but a place such as a Michael Mina restaurant should deliver what they promise, or don't promise it. I ordered a salad which was pretty good but not great, and my friend ordered a bisque which was excellent. The cheesecake dessert was not good. It was built "napoleon" style with a puff pastry which was fine, but the cheesecake part had no resemblance to cheesecake at all. The noise level was terribly high, especially once the restaurant filled up. Needless to say, we won't go back. 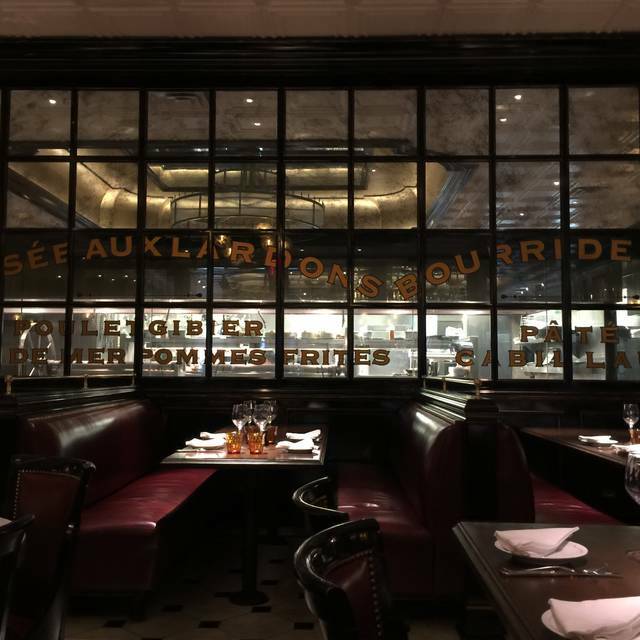 It was pricey, which would have been fine if the food had been good and the ambiance acceptable. We much preferred Craftsteak which we went to a couple of nights earlier. Last trip was Hell's Kitchen and Mesa Grill, both also much preferred over Bardot. My opinion, spend your money elsewhere. Food was good, but not spectacular. The appetizers we had were well done and the octopus in particular was excellent. The falafel was interesting, but compared to some I had in Israel this was fair. The sea bass was only ok.
Service was excellent, the waiter knowledgeable and very helpful. The food average, desert was a disappointment. Our waiter was dismissive and unaccommodating re: seating despite the restaurant being half full. The food was marginal at best. Overall very disappointing. We had a group of 6 and all were in agreement re: uninspiring food. Went with a group of 10 for work. 3 people split the beef Wellington which was listed for 2 and it was plenty. The beef was rather on the rare side but it looked amazing. We had the seafood tower and cheese and charcuterie board for the group. I had the crab salad and the seared foie and both were excellent. The food was delicious and they got us out in time to get to a show. I was very happy with my choice to dine here. However I can understand charging a little more being in Las Vegas , but I believe there needs to be a price change on wine by the glass and bottles. (Very over priced) That being said the meal was great and the duck ($49) my wife had could had made 2 meals it was so big and delicious also the Duroc pork I had was wonderful. Food is usually my primary focus. While the service was outstanding, the food was disappointing. Overcooked steak and incredibly over salted fries. I tried scraping the salt off but in the end, it was not worth the effort. I admit, I should have let the waiter know so I am partly responsible. Matthew and the staff provided excellent table-side service with the Wagyu Beef Wellington and Baked Alaska. We will be back the next time we’re in Vegas! brioche french toast, vanilla mascarpone, almond brittle, orgeat syrup was to die for. Eh, mediocre brunch at best. Food was ok but underwhelming. Service was spotty but pushing the champagne for $28 a head was a bit much.